Ahhh, fall. Oh, wait, it’s not fall yet. 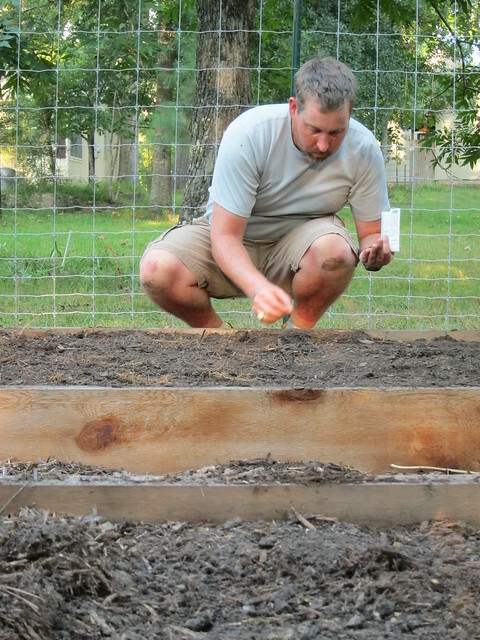 However, it *is* time to start getting ready for fall gardening, especially if you are in the south. If you are in the north you should have been doing that a month ago. Here in greater Houston Chris and I have been using the book Year Round Vegetables, Fruits and Flowers for Metro Houston to plan our seasons in the veggie garden with some modifications. You can find it locally at garden centers instead of online, but at one point in time you could order it also from Urban Harvest’s website. There isn’t a lot to plant in these first few weeks of September, however in the next few weeks there will be even more available to us to plant. Despite this being September it won’t really cool off much until maybe October, so we still have to consistently water and hope for the best when it comes to seedlings in our mid to high 90* days. 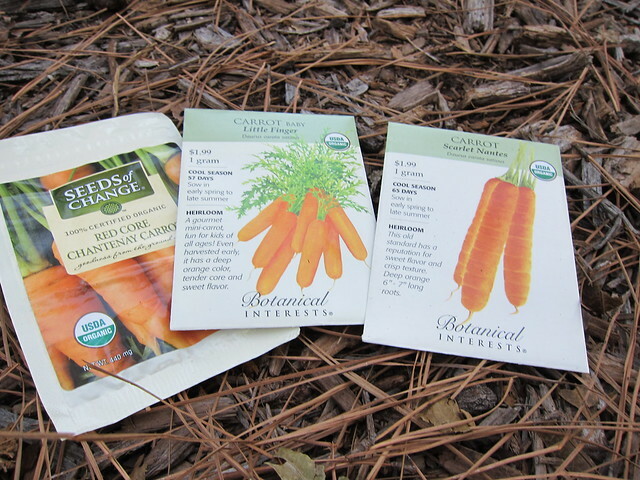 We planted carrots, spinach mustard, arugula and fava beans with a few others crops we’ll be able to start this next week. 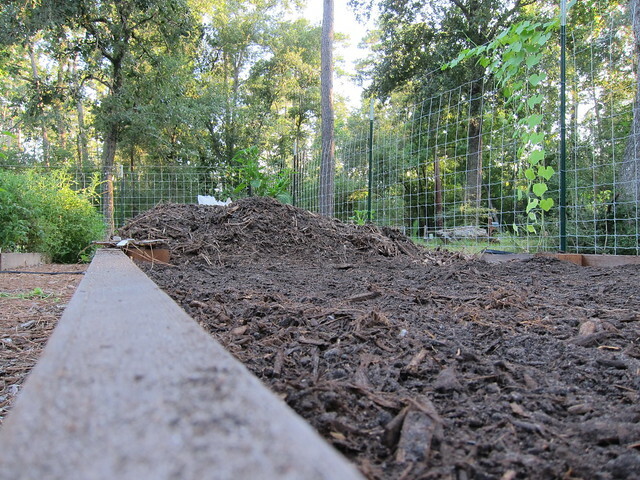 The mulch on the beds was pulled back and compost was added into the beds. I am looking forward to October and November when some of these crops are ready. The spinach mustard and arugula will be ready much earlier, perhaps only a few weeks from now, but many crops take a lot longer. 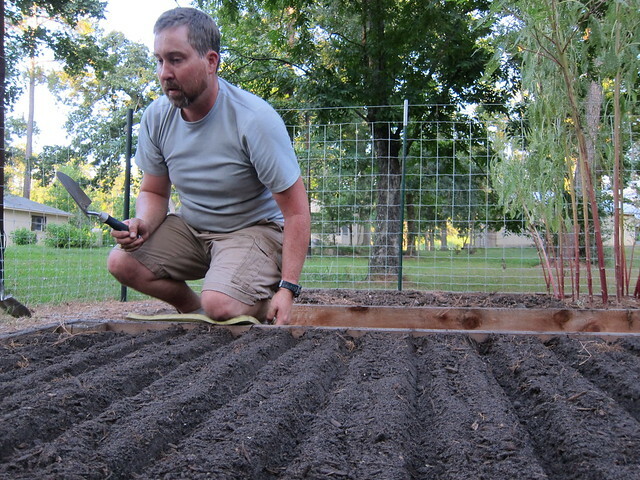 What are you planting (have planted) for your fall garden? We went to Home Depot today to pick up a few pots and planters and LO AND BEHOLD, the veggie plants were in. 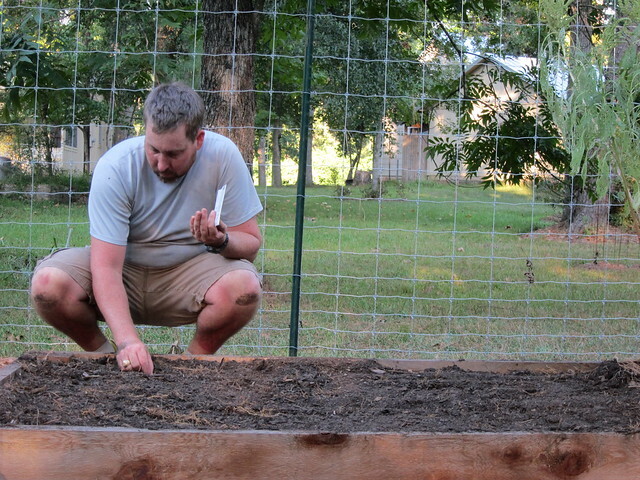 So I couldn’t resist grabbing a tomato and an eggplant, *just* to get the veggie garden going. I practically did a dance when I saw them. So happy!